At NY Pump & Motor Repair, we provide our customers with only top-quality pump products from leading manufacturers. We carry a range of Dunham-Bush pumps to provide customers with the right type of pump for their residence, commercial or industrial building. For more than 100 years, Dunham-Busch has been committed to providing customers with innovative pump solutions they can depend on. With energy efficient and clean energy products, you can be sure your property is receiving a top-quality pump. Are you in need of Dunham-Bush Air Compressor Pump service in NYC? 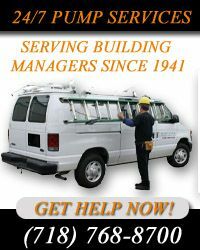 NY Pump & Motor Repair has been providing Dunham-Bush Air Compressor Pump services in NYC Metropolitan area since 1941. No Dunham-Bush Air Compressor Pump problem is too big or small for NY Pump & Motor Repair's technicians to handle. We understand that Dunham-Bush Air Compressor Pump can occur at any time. For that reason we offer 24 hour emergency Dunham-Bush Air Compressor Pump services in NYC. For more information on Dunham-Bush Air Compressor Pump service in NYC, call NY Pump and Motor today at (718) 768-8700!